Over the last 15 years the biggest trend in contract electronics manufacturing has been off-shoring. This is outsourcing of manufacturing to off-shore destinations and the last decade has seen China emerge as the most preferred destination. The main driver of this move to off-shore manufacturing has been the lower prices of manufacturing in Asia and other destinations. In today's competitive environment, companies have to think of costs on a larger scale. Globalization means that competition is not localized but globalized. Decision making relating to costs has to therefore shift from the traditional methods to TCO. In your contract electronics manufacturing decisions, what do you consider to be the most important evaluation criteria? Is it just the price quoted by the off-shore manufacturers or do you think of costs in the broader TCO sense? Some companies may choose an outsourcing destination simply because the price quoted is lower than what it would cost them to manufacture locally. They do not take into consideration the hidden and long-term costs and the economic implications of such decisions. 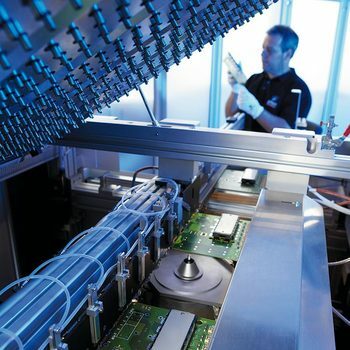 TCO analysis in contract electronics manufacturing is designed to reveal the lifetime costs of acquiring, operating and changing the electronics in question. The first step in TCO evaluation for manufacturing is identifying the costs associated with the product. The most obvious direct cost is the price quoted by the manufacturer. Depending on the arrangement you have with the manufacturer, the cost quoted could include freight charges or it could just be the Ex-works price. Other costs incidental to bringing the product to your premises include: freight, insurance and import duties and tariffs. There are other hidden costs that end up being bundled with the overall organization's costs without being traced to the specific product that produces them. It is very rare that you will find an electronics manufacturer contracting any part of the assembly process to another company remotely. Even with the advances in technology you will want to assure yourself that the company can deliver; that it has the adequate capacity in terms of personnel and other resources to meet your requirements in terms of quality. As a result, a lot of travel expenses are incurred. Apart from that, the communication costs in arranging for production and eventual shipping of the product are important. With contract electronics manufacturing, most people will require the manufacturer to send a sample before a whole order is processed. This sample is tested for adherence to the design and quality. A lot of communication has to pass back and forth especially where changes in the design are made. When out-sourcing, you cannot guarantee yourself that the contract manufacturer will have the same passion for innovation as you do. 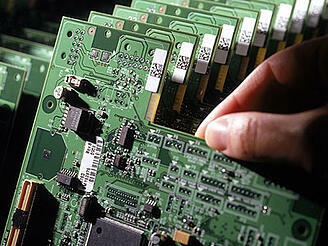 The electronics industry is particularly driven by innovations and regular changes to the product will be made. You may find that you will need to change the contract manufacturer over the product's life-cycle if your technology demands exceed the manufacturer's capacity. Such a change represents other direct and indirect costs. A major part of TCO that is not often captured by traditional cost evaluation is the inventory costs and controls. 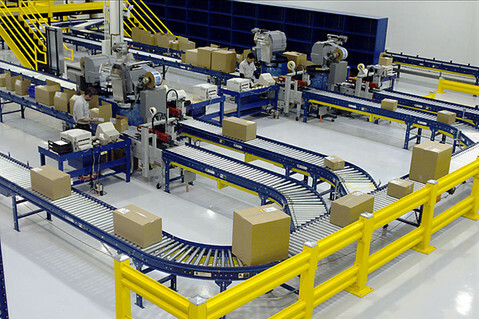 Due to the mostly lengthy purchase lead-times, you may require to maintain higher levels of inventory. This ties up a lot of your cashflow and the internal controls of managing higher inventories are additional costs. Apart from that, you may have excess capacity in your manufacturing after outsourcing which is an additional hidden cost.